Don’t just store your data: Wear your data! 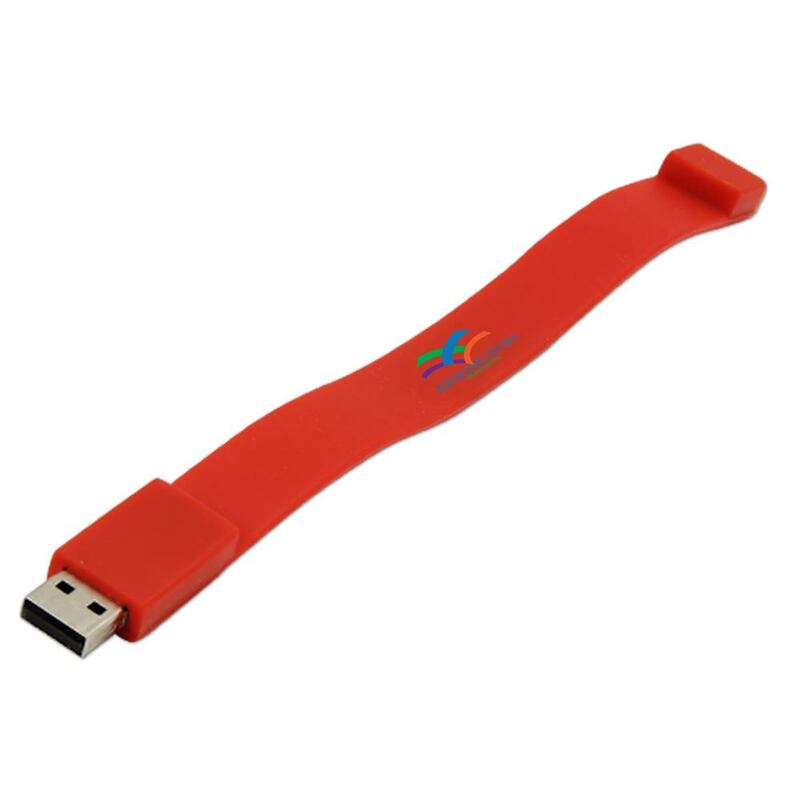 Thanks to the Wristband USB Flash Drive, you can keep your data close at hand and look good doing it. 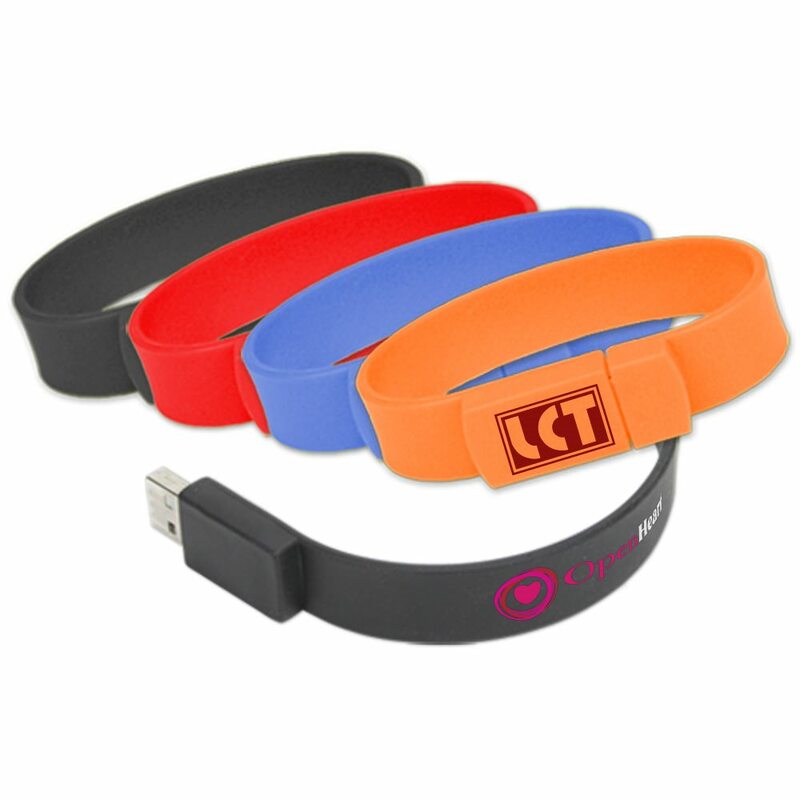 These soft and durable PVC bracelets are extremely lightweight and come in a variety of different colors. 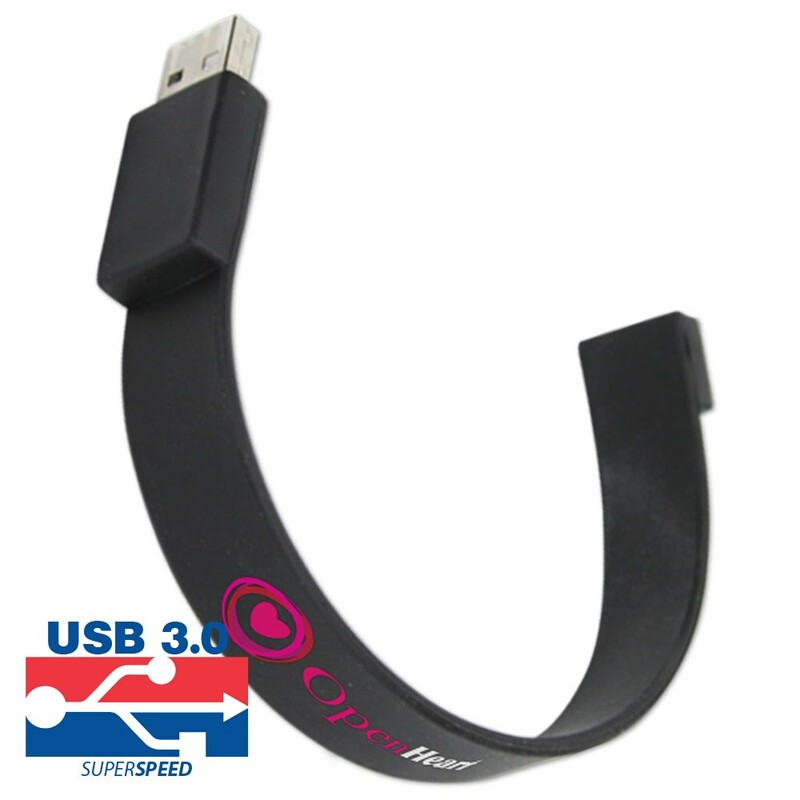 The Hi-Speed USB drive in the wristband is compatible with PC, Mac, and Linux. It comes with a 1,000G shock resistance, up to 10 years of data retention, and a limited lifetime warranty. A driver for the USB is only needed if you’re running Windows 98/95. It’s time to give your pockets a break. Storing wallets, keys, all that loose change: We end up carrying so many things on us, every single day, that it’d be a surprise if air itself had enough room to circulate in our pockets. Give your pockets some breathing room and make a stylish statement with our Wristband USB Flash Drives! These bracelets are made to be fitted around your wrist. They come in a variety of different colors, making them perfect as fashion accessories They’re made of soft PVC for maximum comfort and durability. 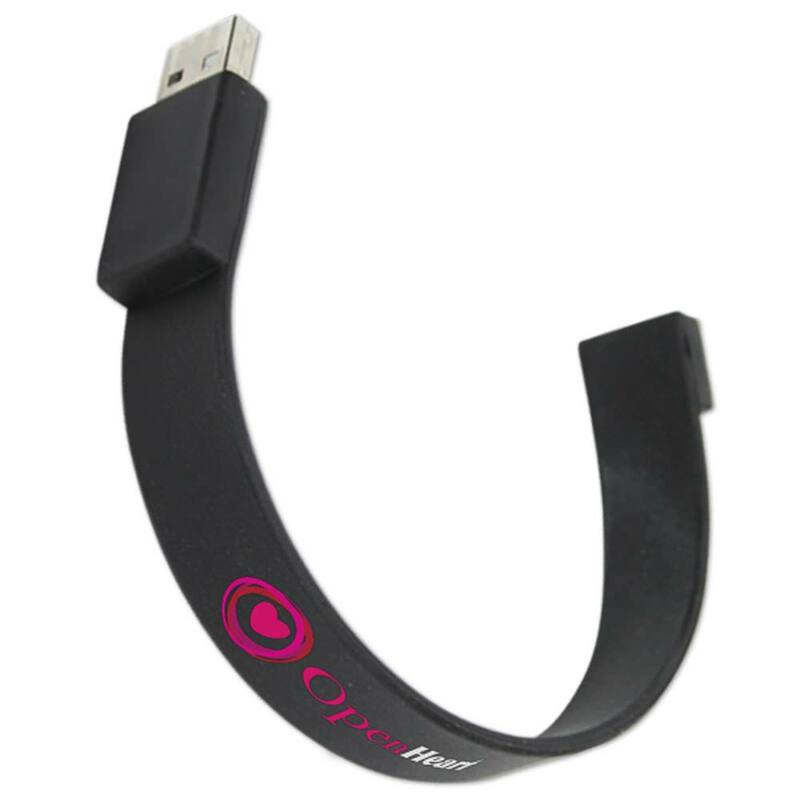 The Hi-Speed USB drive in the wristband is compatible with PC, Mac, and Linux. A driver for the USB is only required if you’re using Windows 98/95. It comes with a 1,000G shock resistance, up to 10 years of data retention, and a limited lifetime warranty. 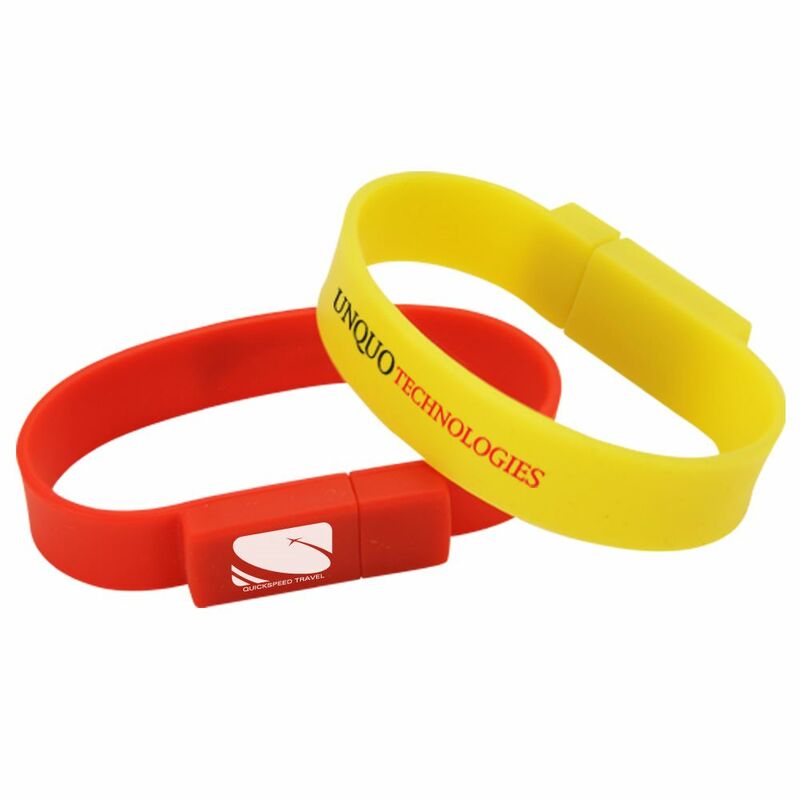 You can get your logo silkscreened onto the wristbands and turn them into an eye-catching promotional gift. 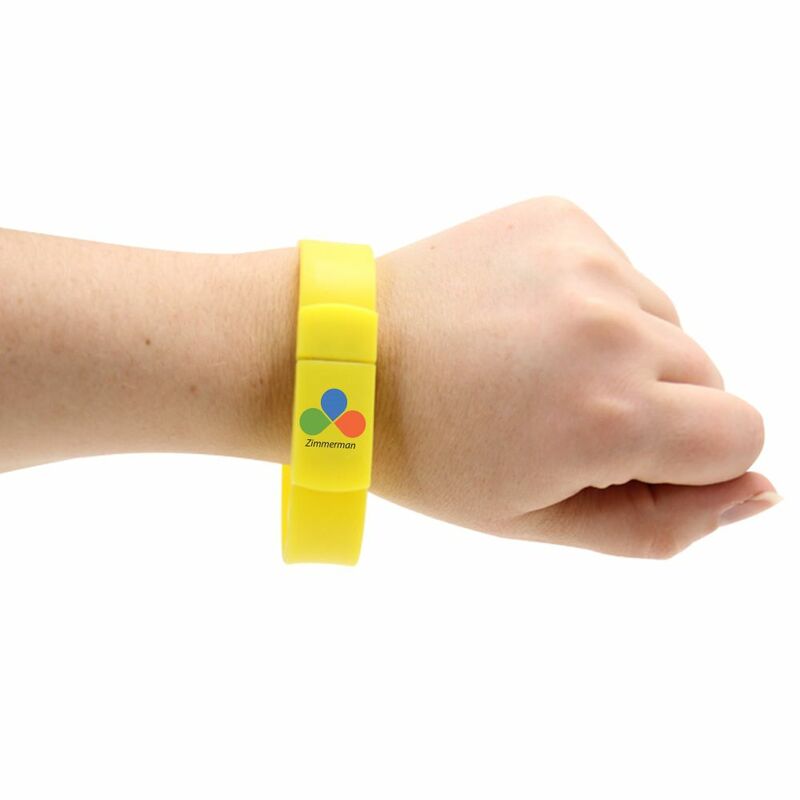 Not only are you giving people a data storage tool that they can use, you’re also getting them to spread awareness of your brand by wearing it on their wrists! Stop trapping your information in USBs that fill up your pockets: Wear your data on your sleeves!